PHP, which stands for PHP: Hypertext Preprocessor, is an HTML-embedded, server-side scripting language that is currently one of the most popular languages used in web development. It allows web developers to write dynamically generated pages quickly and easily. PHP is the backbone of many of today’s most well-known websites, including Facebook, Wikipedia, Flickr and Tumblr. 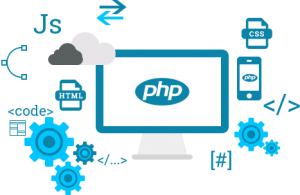 A very important characteristic of PHP is that it is compatible with all major operating systems, and most web server installations. This gives the developer the freedom to choose any operating system and web server to develop on. PHP also allows the flexibility of using procedural programming, object-oriented programming, or a mixture of both. Another significant feature of PHP its support for a great range of databases, for which code can be written after simply installing the required database extension. What is Needed to Get Started with PHP? Since PHP is an HTML-embedded language, one must have a basic understanding of HTML/XHTML. PHP is free, open source, and is included in most server installations. To start programming with PHP, you can either buy a basic hosting package that supports PHP and MySQL, or you can install a server locally. You can install WAMP if you have a Windows machine, and LAMP if you have a Linux machine. The capabilities that have been explained above are more than enough for many web developers to decide on implementing their web applications using PHP. However, the benefits and features of PHP far extend the short explanation that has been offered here, and it is highly recommended for every web developer to give this powerful programming language a try to see its uses for themselves. This entry was posted in News on 5th March 2018 by admin.